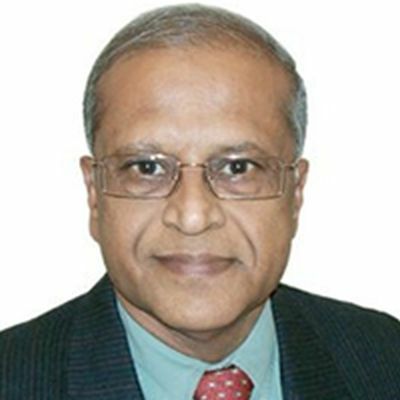 After graduating in Mechanical Engineering from BITS Pilani in 1966, Vinay worked in reputed Indian and MNC organizations – DCM, Hindustan Unilever, JK, Indo Rama and Fortis. His technical experience covers Operations, Maintenance and Project Management in large industrial plants. He has demonstrated expertise in Energy Management and was awarded coveted Chairman’s Medal by Unilever for executing two Cogen Plants in record time. Vinay has General Management experience via his role as President / CEO of JK, Indo Rama and Fortis Healthcare where he had bottom line responsibilities. As CEO of Fortis Healthcare he erected the most modern (in 2001) 300 Bed Hospital in record time of 18 months following global standards in collaboration with PIMS, Boston. In 1995 Vinay attended the Advanced Management Program (AMP) at Harvard Business School, Boston. In 2005, he joined Clinton Foundation as Country Director and coordinated all activities of the Foundation in India, which is the largest country operation of Clinton Foundation worldwide. He is now Director, Nanhi Chhaan, a Foundation engaged for increasing awareness against Female feticide & infanticide and empowering women and was launched nationally by the President of India Mrs Pratibha Patil. He was also an Advisor on Drinking water project for PATH, a large US NGO; Acord etc. In 2014, Vinay launched YUVA a new start up company for using simulation techniques for skilling Healthcare personnel including doctors, nurses, para medics and others. This State of the art facility (initially started in collaboration with Partners) has a simulation lab., an OT and an ICU for training the students to handle the real patients with confidence in modern hospitals. In 2015 he joined Indo UK Institute of Health (IUIH) as Board Member. IUIH is in process of erecting 11 Medicities (consisting a 1000 bed hospital, 150 seater Medical college, 200 seater Nursing college, Research facilities etc.) and 90 Medical Centres in different locations of India in collaboration with NHS hospitals, UK and India Govts. The Project envisages an investment of Sterling 2 billion. He has also recently joined the Board of Philadelphia based GlobeHealer that aims to create a unique Eco system in Healthcare for all stake holders.